Perfect location in the desirable GUARD-GATED community of Spring Isle with tree-lined streets, lakes, desirable schools, and a plethora of amenities. 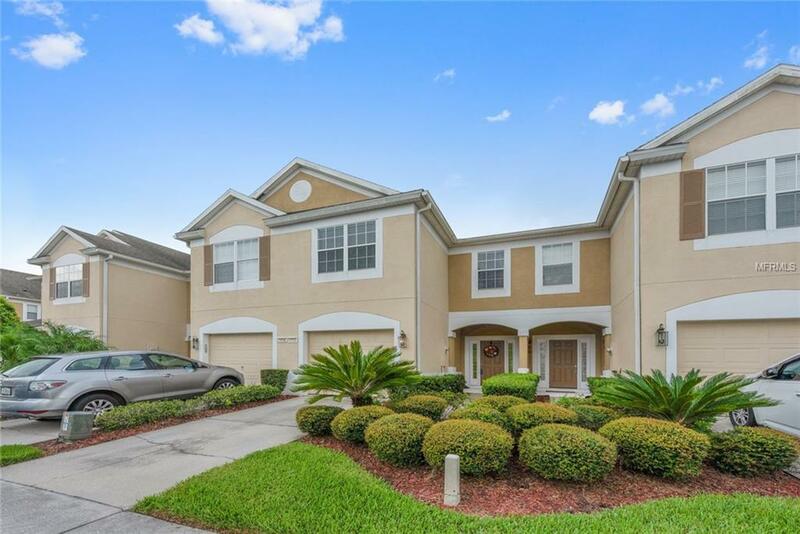 **NEARBY AVALON PARK** This charming 3BD/2.5BA townhome showcases an ideal floor plan with plenty of entertainment space. The family chef will love the LARGE UPDATED KITCHEN with quality appliances including a NEW STAINLESS STOVE & REFRIGERATOR, NEWLY PAINTED CABINETS, modern backsplash, PANTRY, and a casual breakfast nook. Relax in the master suite with LARGE WINDOWS allowing natural light to shine in plus a WALK-IN CLOSET and a SPACIOUS MASTER BATH. Just off the living room are sliding doors leading to the lanai. Gather with guests and enjoy family cookouts in the screened lanai. Spring Isle is a serene 24-HOUR GATED COMMUNITY offers a resort-style pool, cabanas, tennis courts, fitness area, playground, dog park, state-of-the-art clubhouse, and more. Lawn maintenance is also included in the HOA. Zoned for sought-after A-RATED SCHOOLS. Only minutes from AVALON PARK offering seasonal events, mom-and-pop restaurants/eateries, trendy boutique shopping, movie nights in the park & more. Plus enjoy easy access to 408, 528, and close proximity to the Waterford Lakes Town Center, UCF, Valencia College, Downtown Orlando, & Research Parkway. All that Central Florida has to offer (attractions, beaches, the wetlands & more) is just a short commute away. Don't miss your opportunity to see this beautiful townhome today! Additional Lease Restrictions Buyer To Verify Leasing Restrictions With Hoa And/Or City/County. Pet Restrictions Buyer To Verify Pet Restrictions With Hoa And/Or City/County. Listing provided courtesy of Wemert Group Realty Llc.